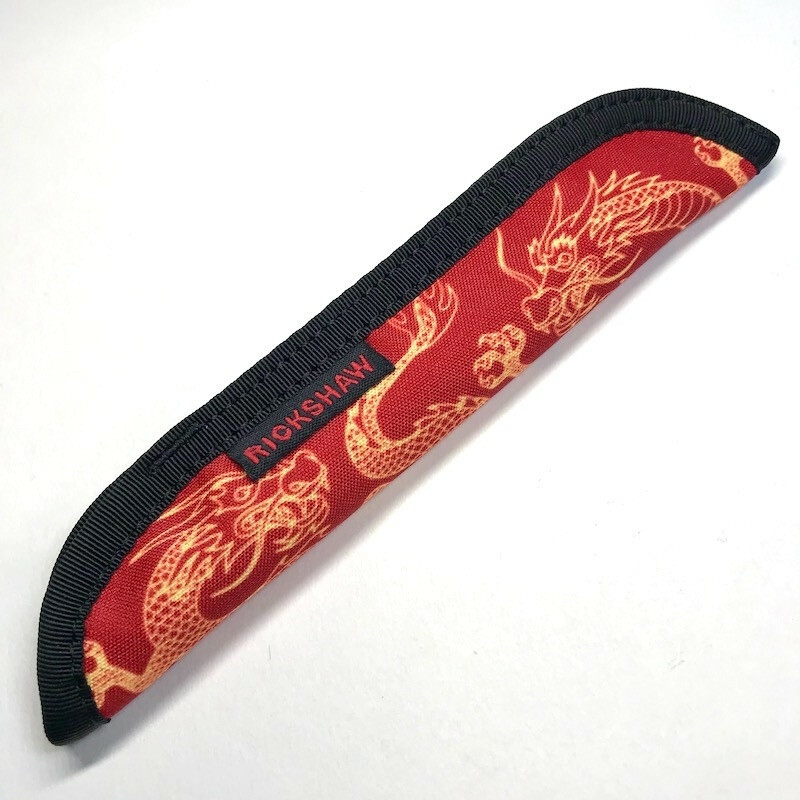 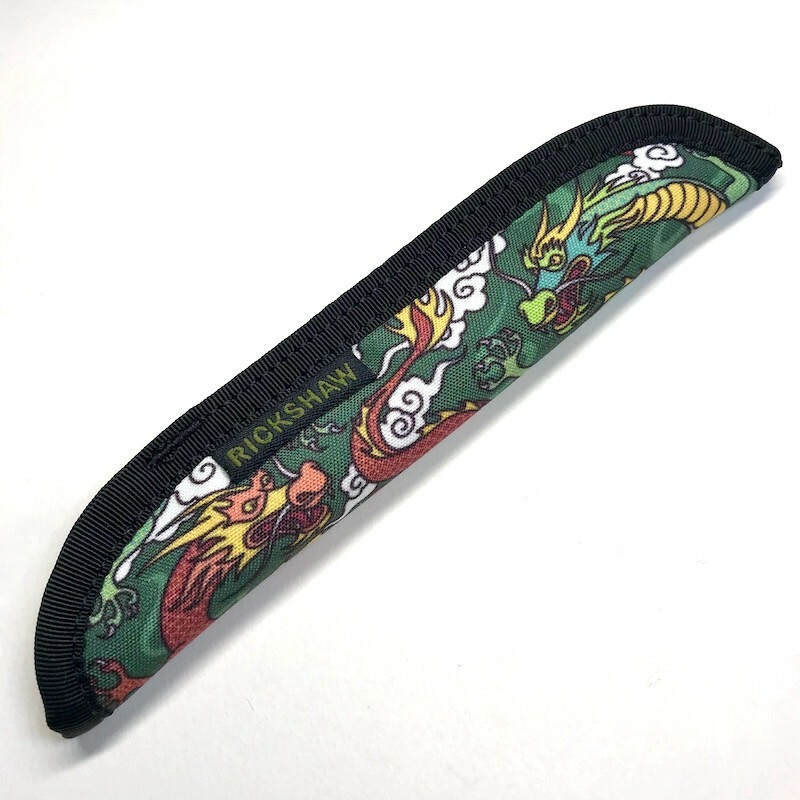 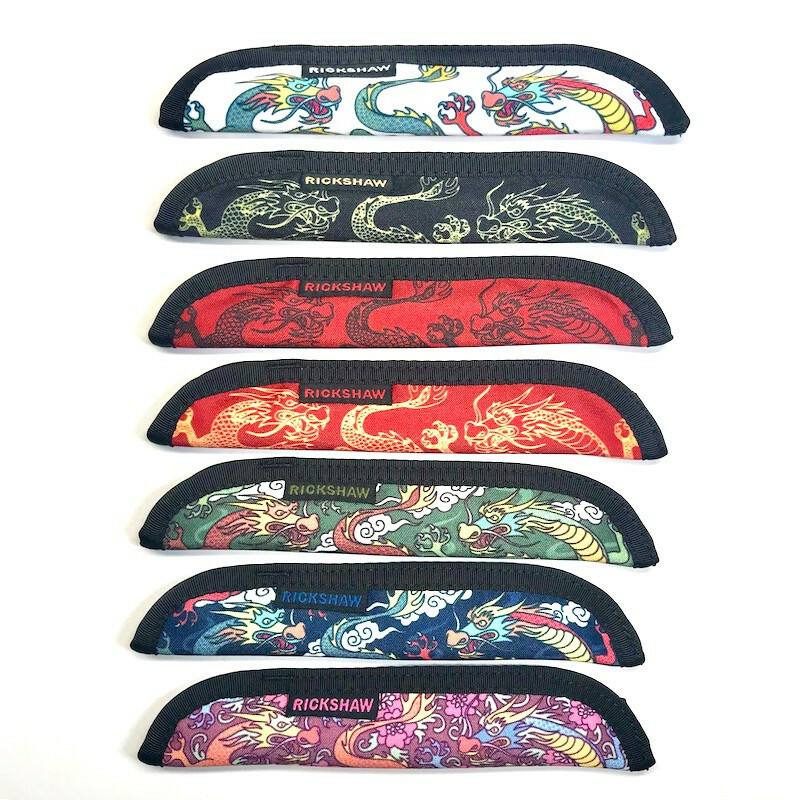 Our plush-lined Solo Pen Sleeve featuring two colorful classic Chinese Dragons. 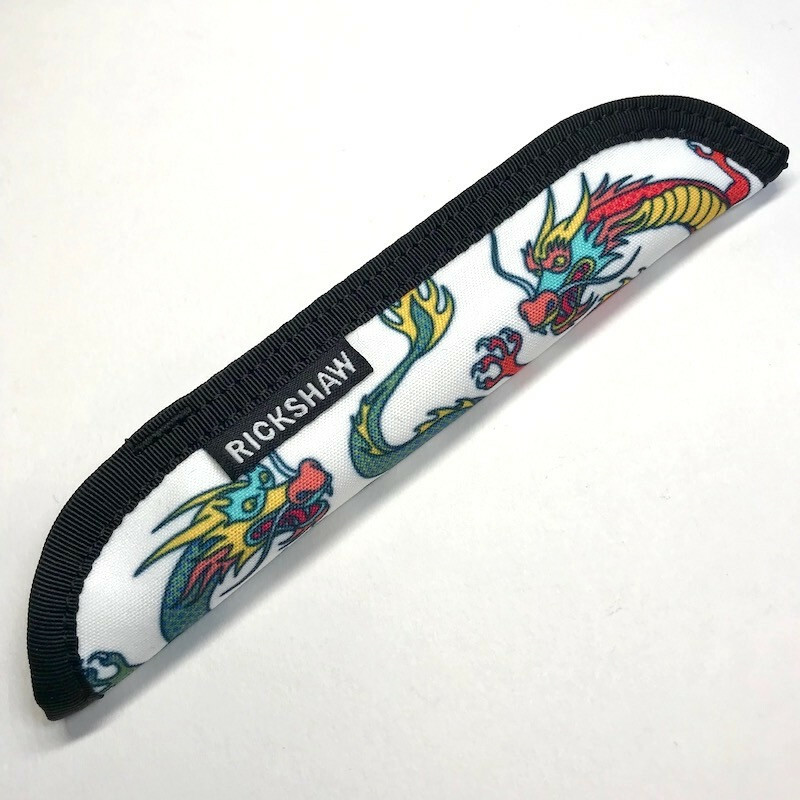 Dragons traditionally symbolize potent and auspicious powers, particularly control over water, rainfall, typhoons, and floods. The dragon is also a symbol of power, strength, and good luck. What better protection for your precious pen? 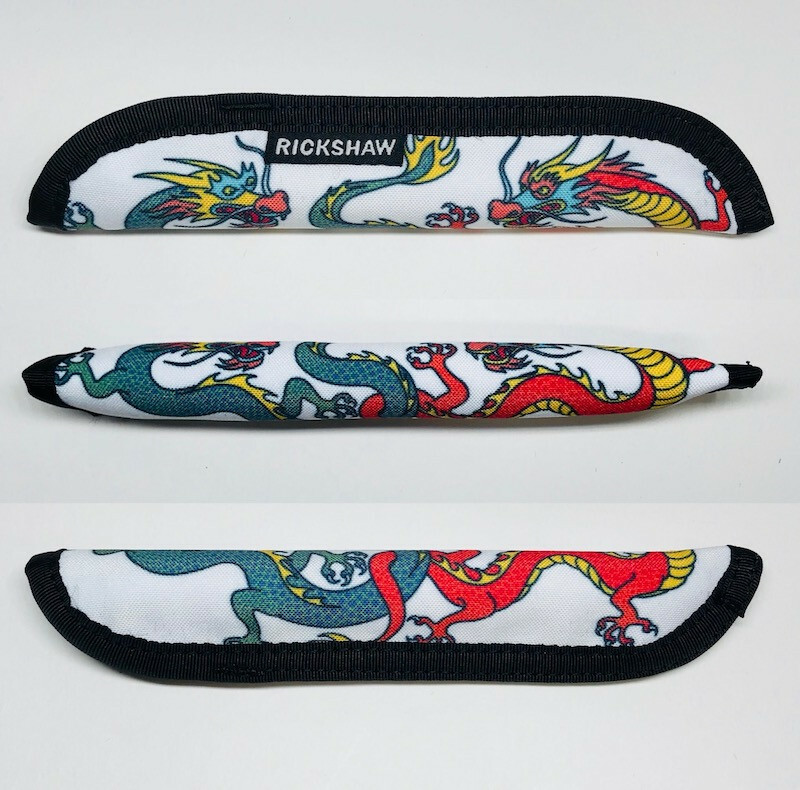 Each SOLO sleeve is made-to-order in our own San Francisco workshop.